SanDisk and Micron just announced the world's first 1TB microSD cards, with a release date pegged for April. 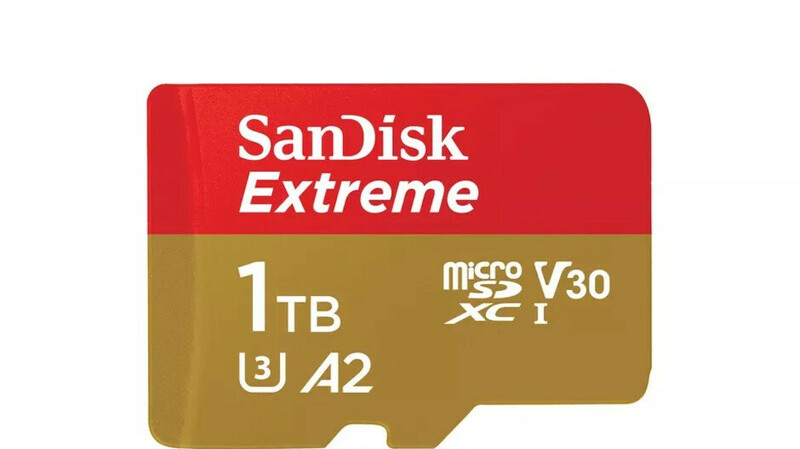 Just one such card, paired with the 1TB Galaxy S10+ model, would mean more storage than you probably have in your current laptop or even desktop computer but the pricing comes at a hefty premium. The SanDisk model of a UHS-I microSDXC card offers 160MB/s read speeds and 90MB/s writing, while the Micron creation is a bit faster in writing, but much slower at reading, with 100MB/s. The price? Well, $499.99 for the 1TB SanDisk card, how about that? Micron hasn't yet announced pricing but we hope it will be lower as the company will release it by the summer, leaving early adopters to mass on the SanDisk's hefty price tag. Any takers? I'd rather wait for the microSD Express cards and architecture as those will be implementing PCI Express protocol into the hardware and increasing read/ write speeds beyond the 800 MB/s mark. It will go down to $129 in few months. Then i will take it. Not likely, I've been waiting for the 512GB one to come down in price but it hasn't. Its going to take a few years. 1tb, or even 500gb, is amazing on a card the size of a thumbnail. What's the max capacity on the NM card that huawei used on the mate x? Who the heck needs 2 TB of data with them at all times? Seriously? This is just getting slightly excessive. I just checked a 43 second 4k 60 FPS video, over 650 mbs. Your storage needs will only go up and Android is the cheaper and only way there. ok. So you take a 15 minute video? That's still less than 10 gb. Are you going to take a full length motion picture on your phone? I'm not trying to be argumentative, and I have an android. I'm just staying this is over kill. My wife does and she's almost maxing out her 512GB Note 9. Lol She's happy we have a micro SD slot. More power to you, but what, exactly, are you putting on that much storage?